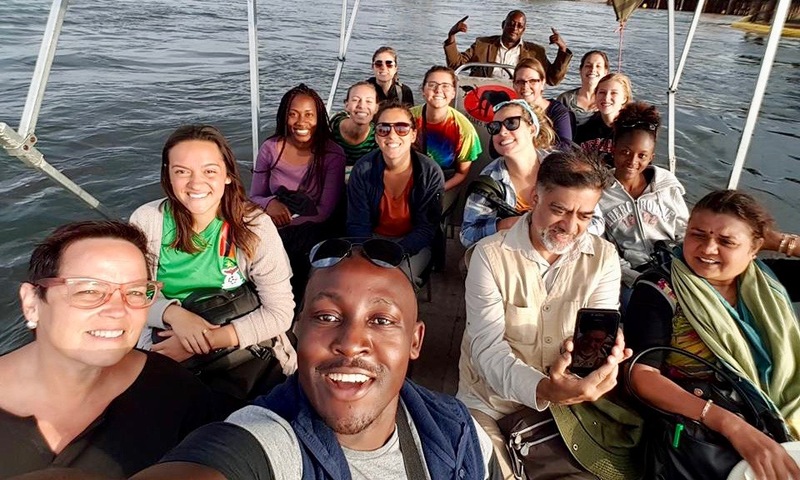 The study abroad program in Zambia provides a unique opportunity to enhance students’ international experience and research skills, including scientific data collection, data analysis, and presentation. Students will experience cultural immersion while conducting research in Zambia’s Copperbelt Province. Students will gain a greater understanding of bio-cultural adaptation, the impact of poor nutrition on growth and development and overall health, as well as the multifaceted challenges of agricultural production, environmental degradation, drought, and food insecurity. Student can earn 3-6 hours of credit in either Soc 385 or SOHE 301. 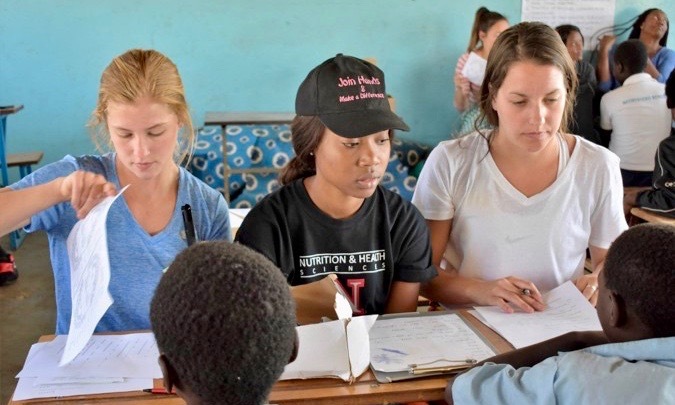 Teams composed of University of Mississippi, University of Nebraska, and Zambia’s Copperbelt University medical students will work together throughout the study experience. Teams will engage in a broad array of activities, e.g., collecting survey data and interviewing, visiting health and education programs, assessing growth and development and nutritional status (anthropometry), mapping social and natural resources, visiting markets and small holder farms, and conducting participant-observation to facilitate learning and develop research skills. All student teams will spend three to five days conducting participant-observation within local farming communities and households. The focus of the participant observation will be determined by the interests of students as identified in the pre-departure session. For example, students interested in business may be placed with a family who operates a small business and go to market with them. In this experience, student teams will work with a rural family and collect data based on their preparatory training. Also, students will assist in household and/or farming activities where possible (e.g. harvesting, plowing, marketing, cooking, etc.) Students will be required to compile lists of all food-related items available for sale in the study area. Students will also have the opportunity to experience a safari in Zambia’s Kafue National Park and to see one of the world’s great wonders, Victoria Falls. After the research sessions, students will share their findings and experiences with students and faculty at Copperbelt University School of Medicine. Additionally, students will deliver a presentation to fellow students and faculty at the University of Mississippi in the semester following their study abroad experience. This study abroad will include five days of preparation in the US, followed by a full four-week fieldwork experience in Zambia. The preparatory week will include reading and discussing literature, selecting a research topic or focus, examining the languages and cultures to be experienced, reviewing the study abroad procedures, and organizing contact information and safety procedures. Students will be based in Ndola, Zambia. The program includes two weekend excursions to Victoria Falls and Kafue National Park. This course is open to undergraduate and graduate students. Majors who may find this course of interest include students majoring and/or minoring in sociology, anthropology, public health, nutrition, pre-medicine and medical students, pre-nursing, education, environmental studies, international studies, and biology. The program will run May 29 through June 25, during Summer Session I. The dates are flexible as we try to minimize flight costs for students. Students will travel together. Group transportation to field sites, excursions, and other activities will be provided. The program cost is $7,500, which includes research fees, in-country lodging and transportation, most meals, and administrative fees. Not included in the cost are the Study Abroad application fee, airfare, and personal spending money. Click here to apply through the Study Abroad office.